Cycloalkanes are named based on the number of C atoms in them, just like regular alkanes, but with the prefix cyclo– on the name. 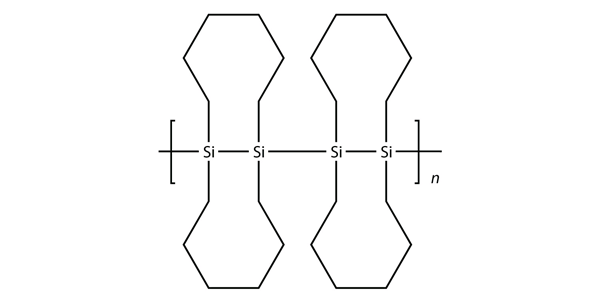 What are the names of the three smallest cycloalkanes? Draw the bond-line structure of all noncyclic alkanes with only four C atoms. Draw the bond-line structure of all noncyclic alkanes with only five C atoms. Cyclic alkanes can also have substituent groups on the ring. Draw the bond-line structure of all cyclic alkanes with only four C atoms. Cyclic alkanes can also have substituent groups on the ring. Draw the bond-line structure of all cyclic alkanes with only five C atoms. Draw the structure of the product when allene, CH2=C=CH2, reacts with bromine. The actual name for the explosive TNT is 2,4,6-trinitrotoluene. If the structure of TNT is as shown below, propose the structure of the parent compound toluene. Draw the structure of and name the alcohol whose double elimination would yield the same product as in Exercise 23. Name the molecule as a hydroxyl-substituted compound. Draw the structure of and name the alcohol whose double elimination would yield the same product as in Exercise 24. Name the molecule as a hydroxyl-substituted compound. Write the chemical reaction of HCl with trimethylamine. 25. The names are 1,2-dihydroxyethane and 1,1-dihydroxyethane, respectively. End-of-Chapter Material by David W. Ball and Jessie A. Key is licensed under a Creative Commons Attribution-NonCommercial-ShareAlike 4.0 International License, except where otherwise noted.